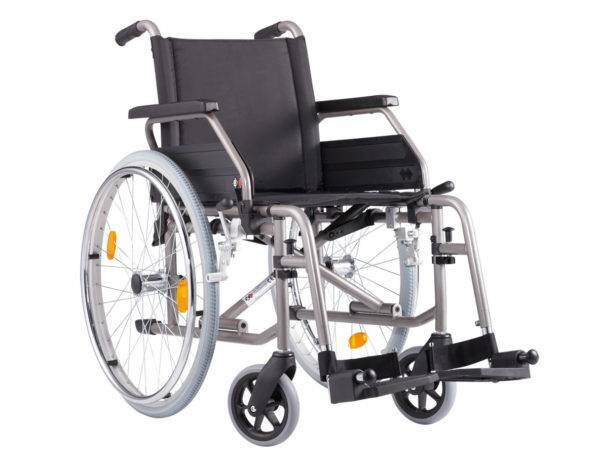 Do you need a wheelchair for a person who can be propelled? This is the best choice ! The rear wheels are massif, 600mm (24″) diameter. It is especially suitable for people who can propulsarse by themselves by making use of the steel hoops, although it is also convenient when carried by a companion. 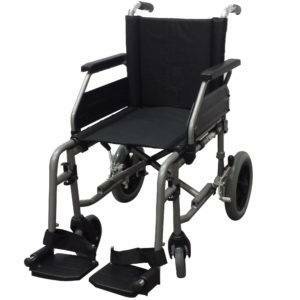 It is very manageable and folds easily, which allows its transport in a vehicle. 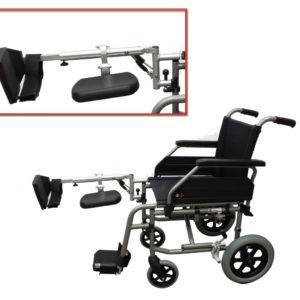 It has adjustable in height footrest , removable and foldable. 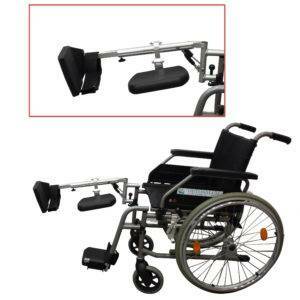 The armrests are practicable. 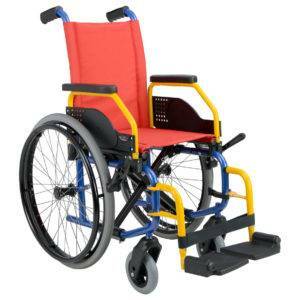 It also has studs on the back to help overcome obstacles such as curbs.